Fall in New England is one of my favorite times of year (at least weather and nature-wise) There are so many fun colors, the air is crisp, and fall just has this certain feeling of freshness that really enhances our senses. It's a great time of year to hop in the car and drive all around New England. Each town has something amazing to offer during the autumn months: fall festivals with fresh apples, apple cider, apple cider donuts, pumpkin caving festivals, maple syrup tours, and the list could go on forever!! If you live in Boston take a drive around to take a peek at some of the amazing fall containers that are on display throughout the city! There are some amazing designers who have created some great works of art! Here are a few fun container gardens that I found on Pinterest to inspire you for your own container gardens!! 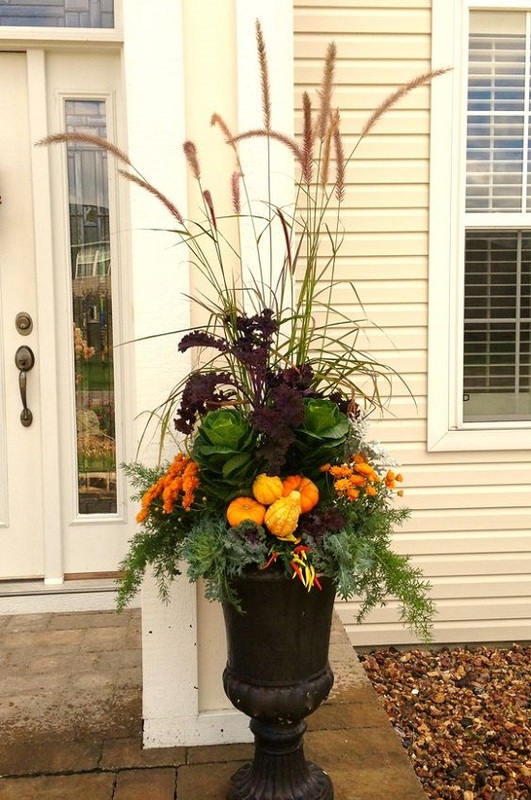 We would love to see some of your container gardens! Tag us on Twitter or Instagram to share your works of art with us! !